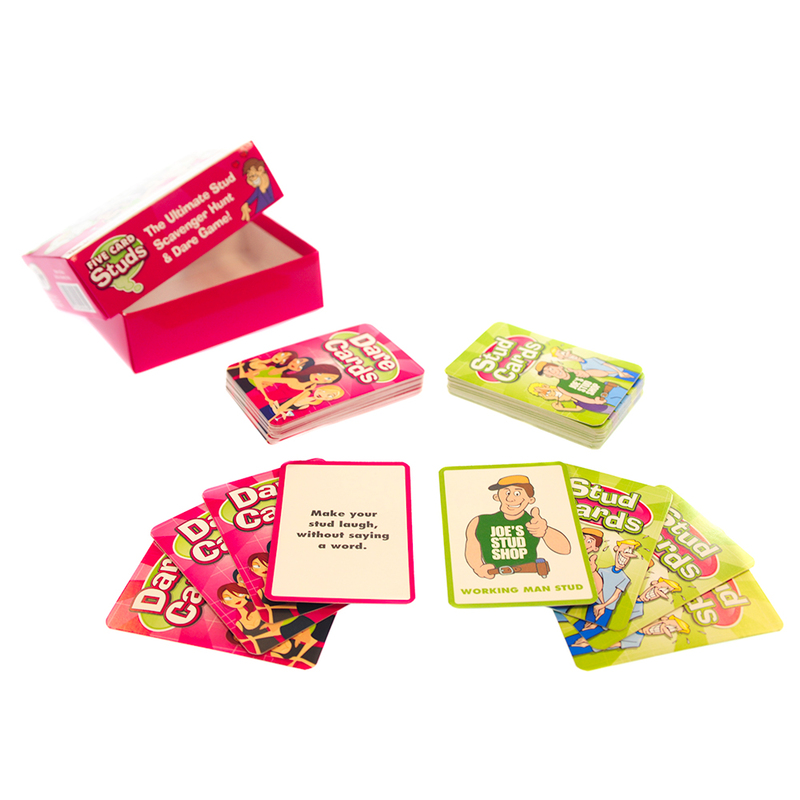 This is a brilliant game with a whole load of different possibilities and combinations of outcomes. 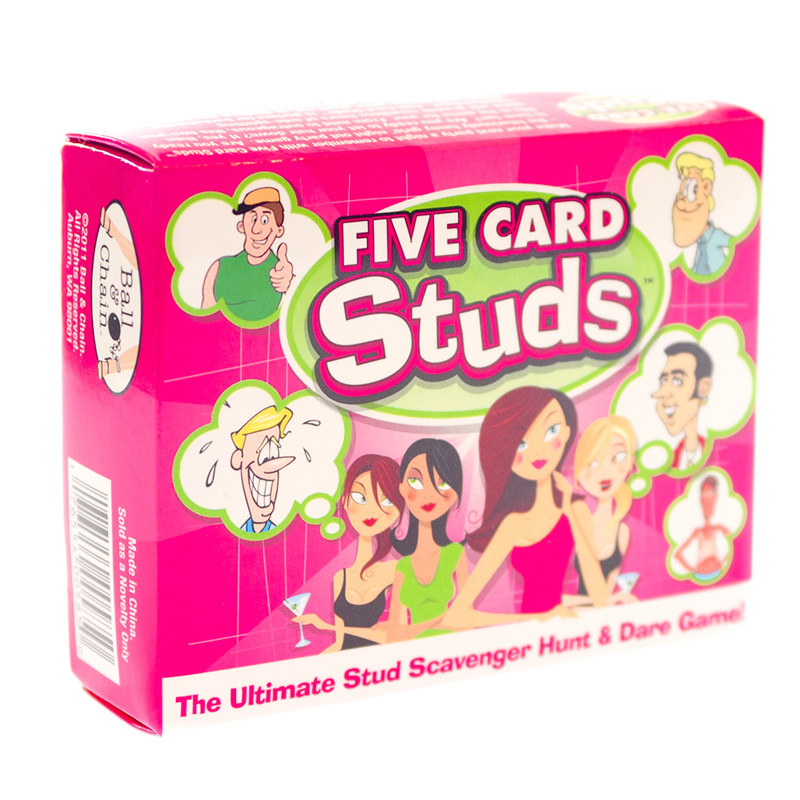 Deal out the stud cards to the girls, each player must then find a guy who looks most like the one on that card and get him to perform tasks with hilarious results. 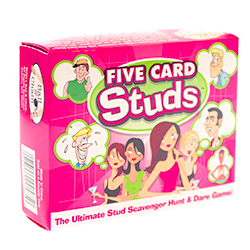 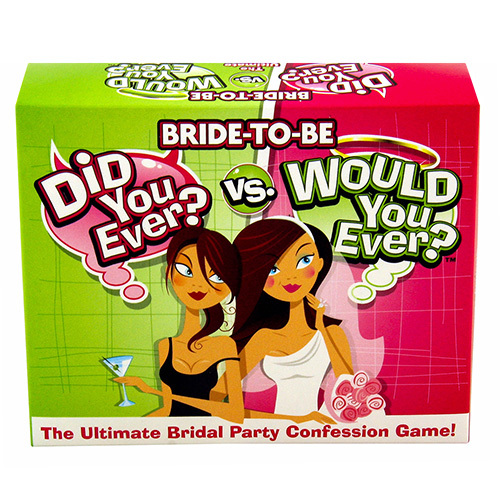 Five card studs is a top new game from the same people that brought us bride bingo and other favourites. 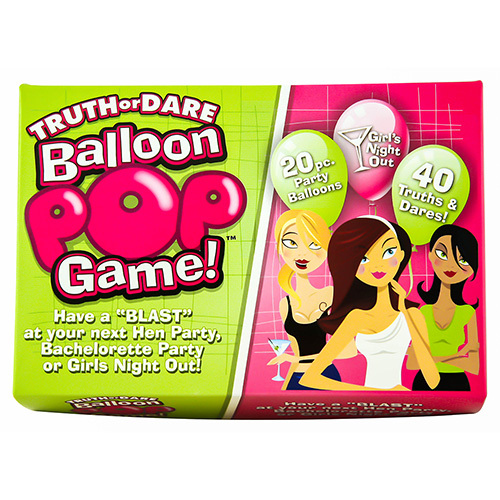 Bear in mind that you need a supply of guys who are willing to participate in order for his game to work, but when it does it really is great fun. This five card studs game is certainly the sort of thing which can become the talking point of the evening and something that the group will remember long after the celebrations are over.